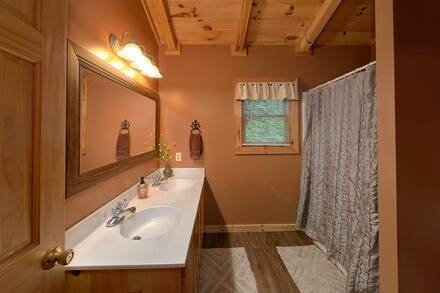 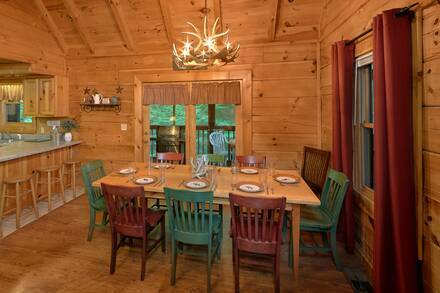 The Horse N Around is a beautiful five bedroom, four bath log cabin, which means it will accommodate 14 people in comfort. 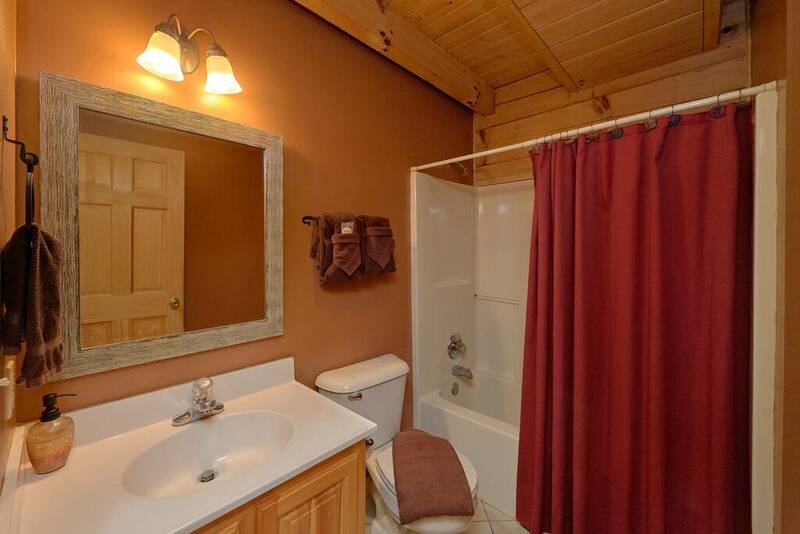 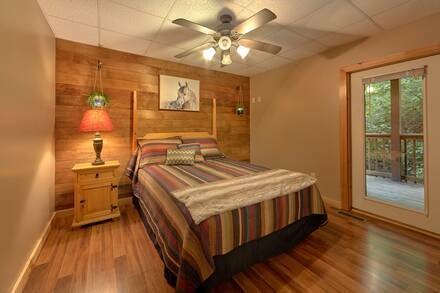 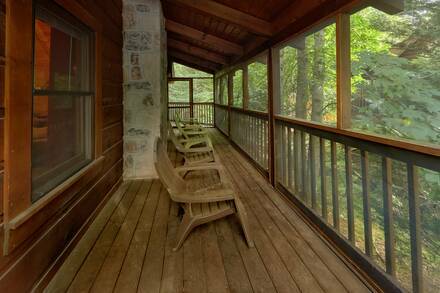 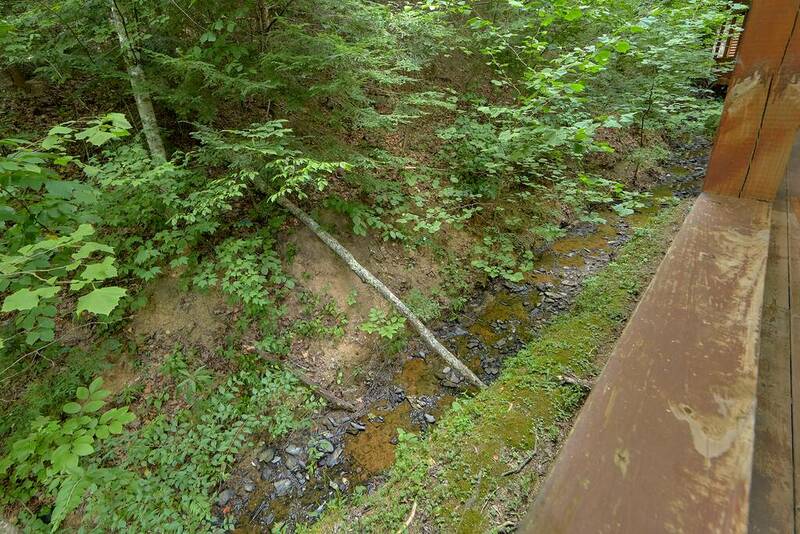 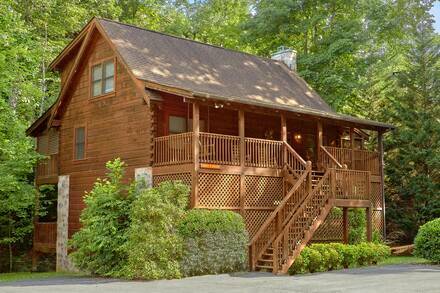 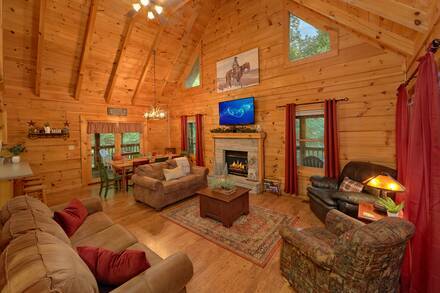 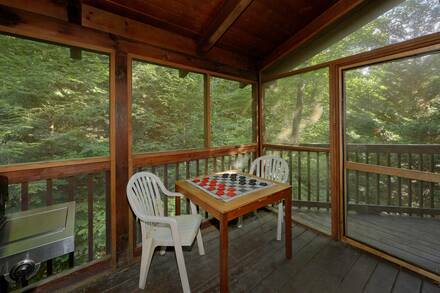 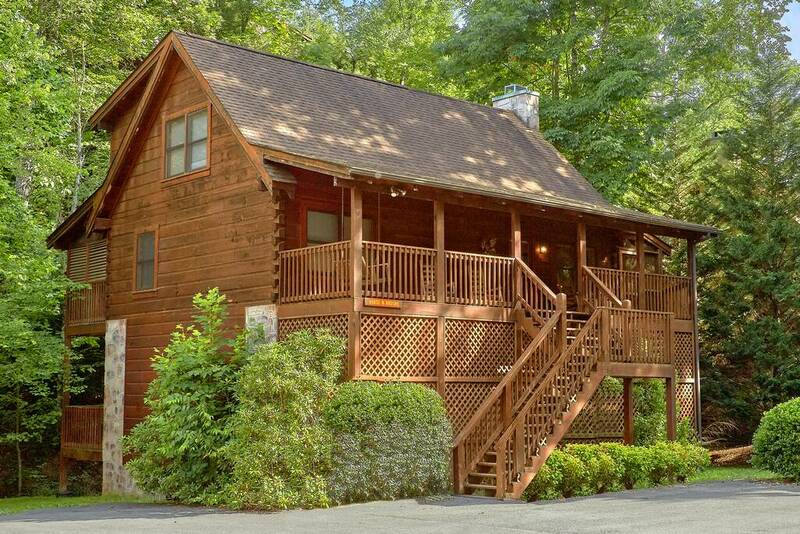 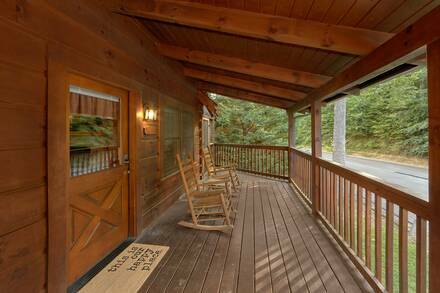 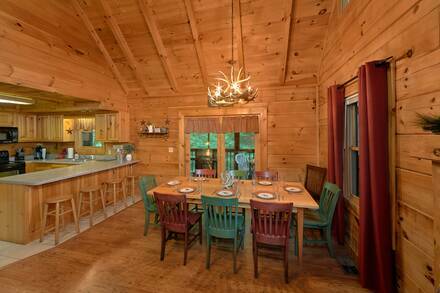 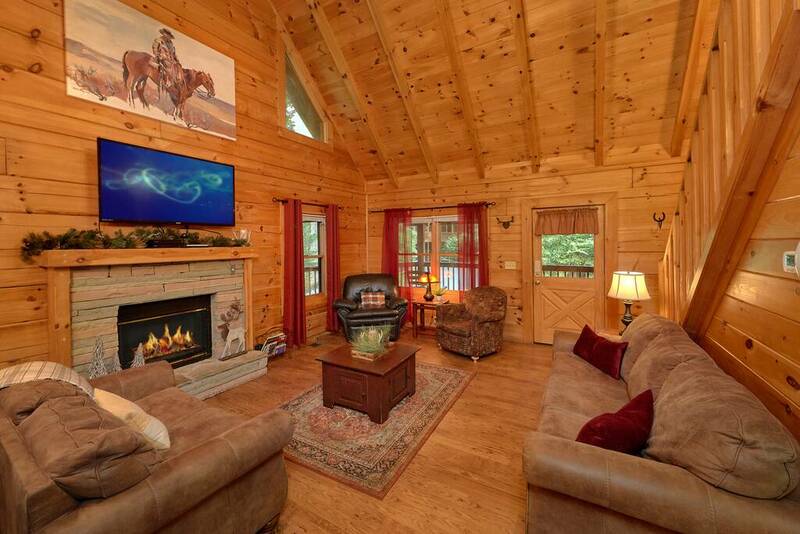 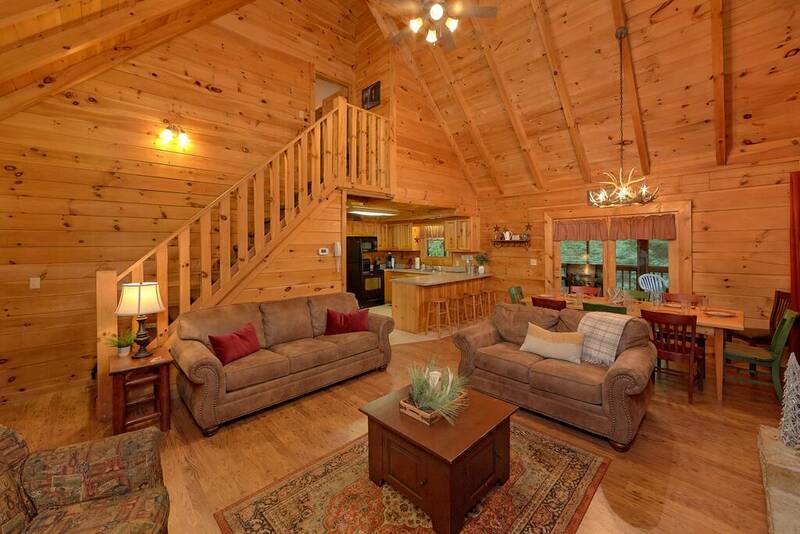 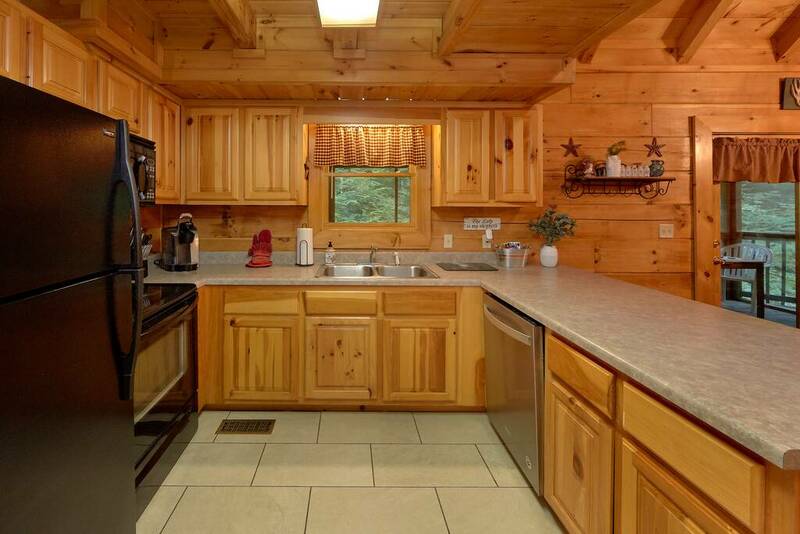 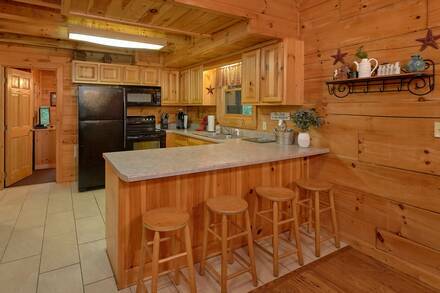 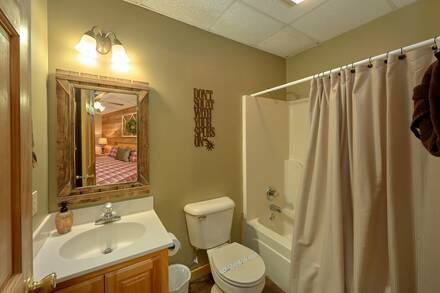 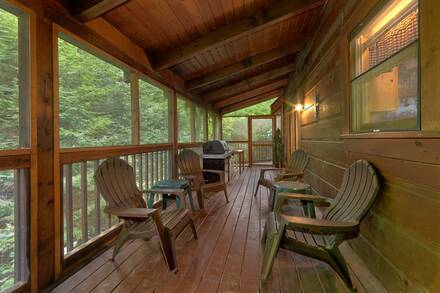 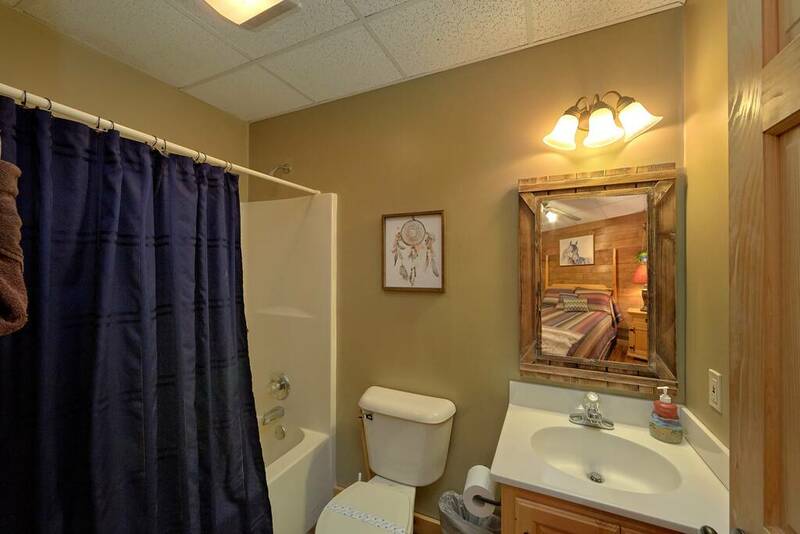 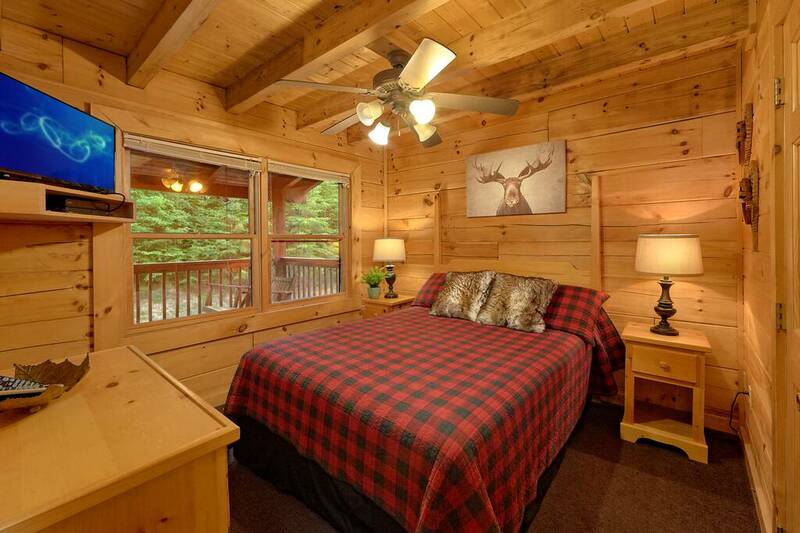 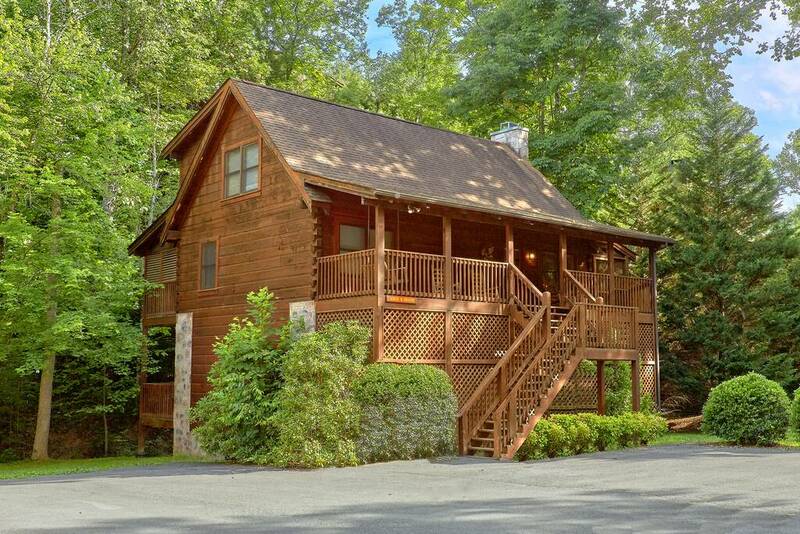 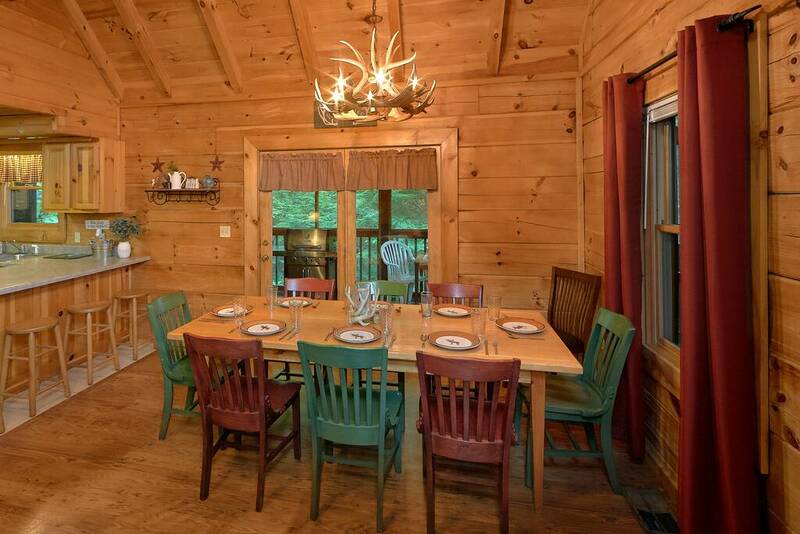 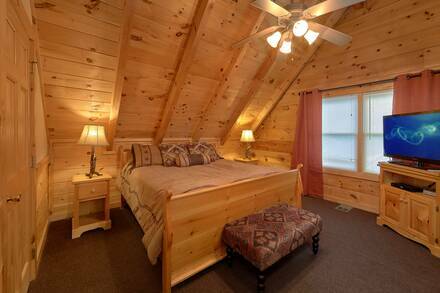 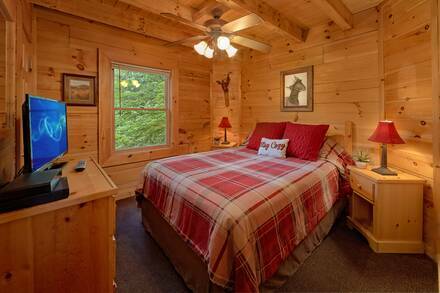 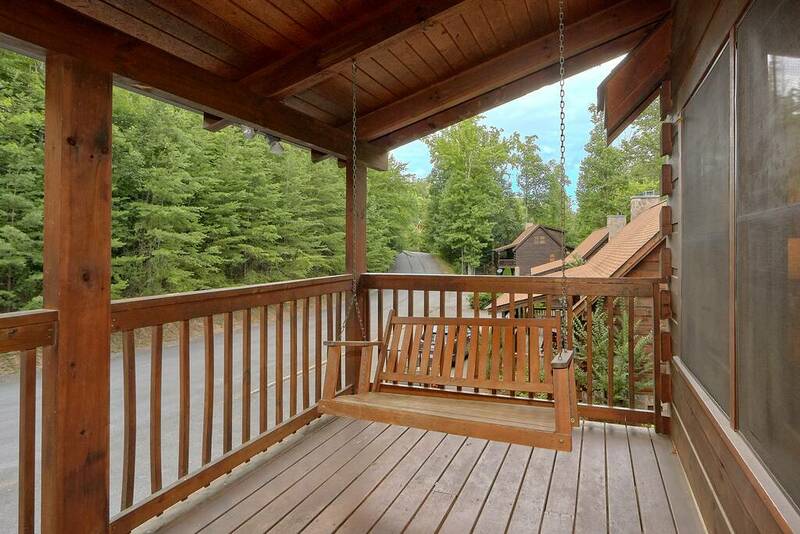 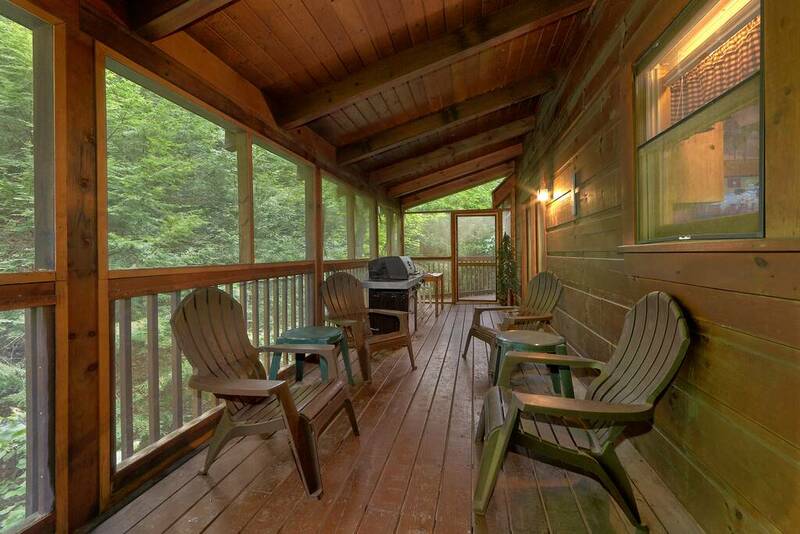 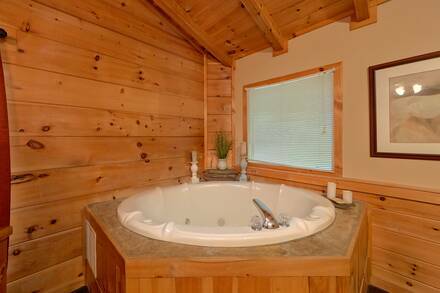 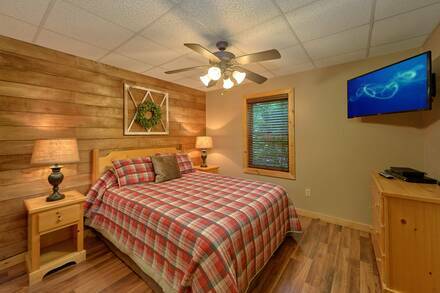 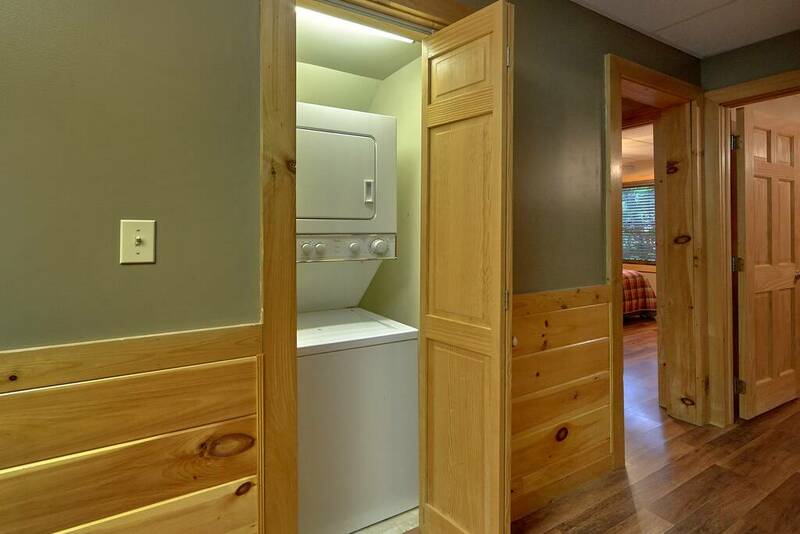 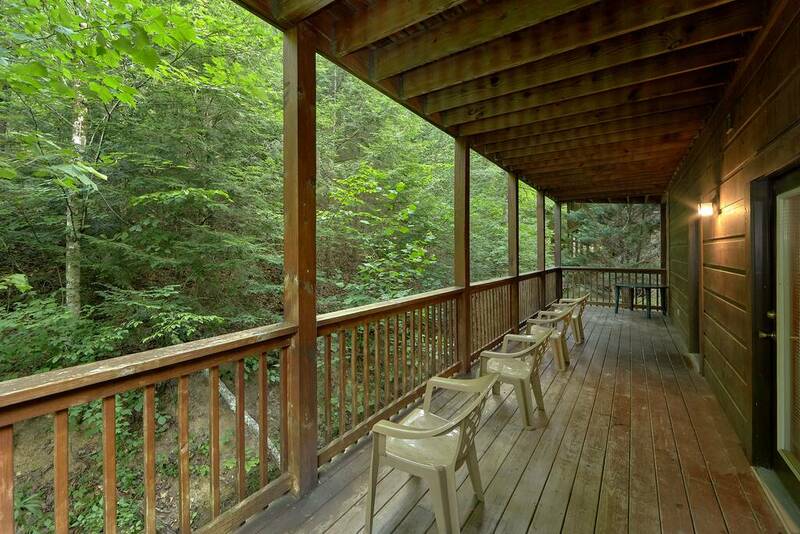 This luxury lodge is set in a quiet community just minutes from Pigeon Forge. Seeing is believing! 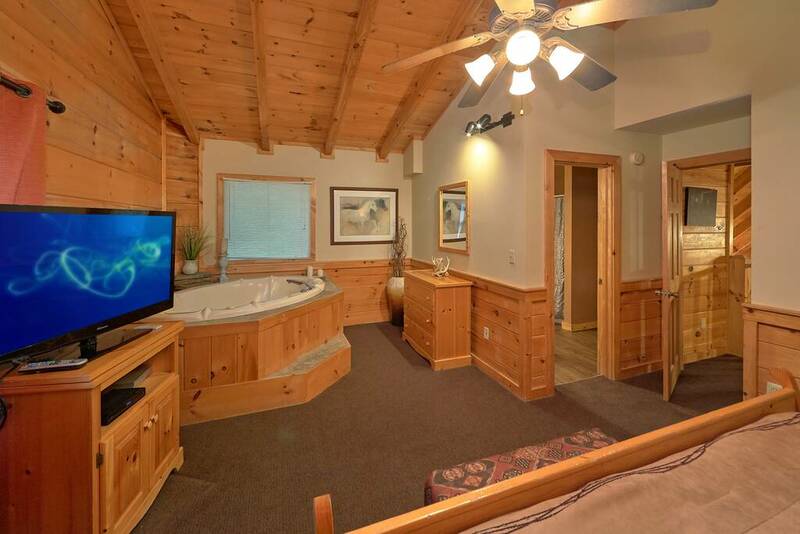 The amenities are too many to mention. 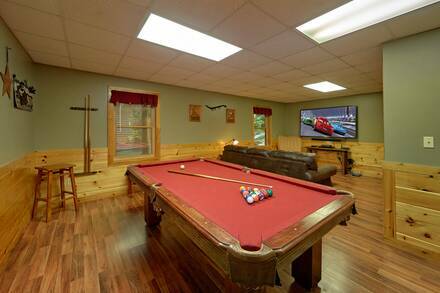 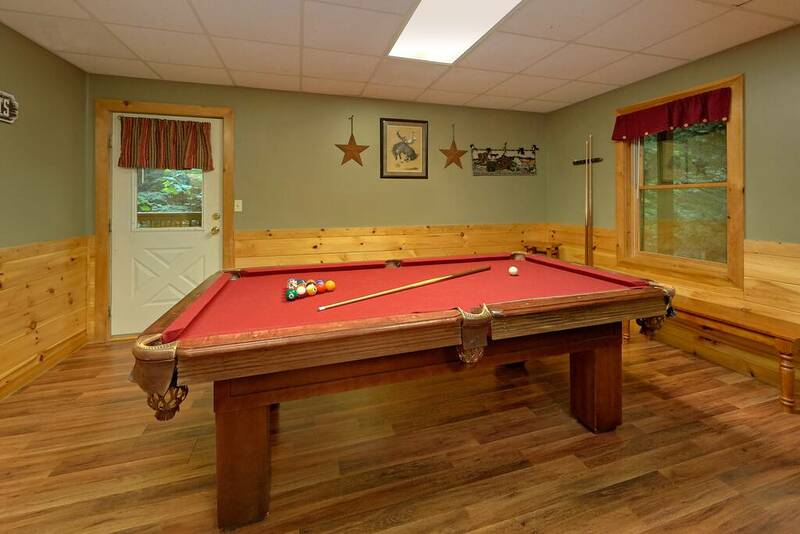 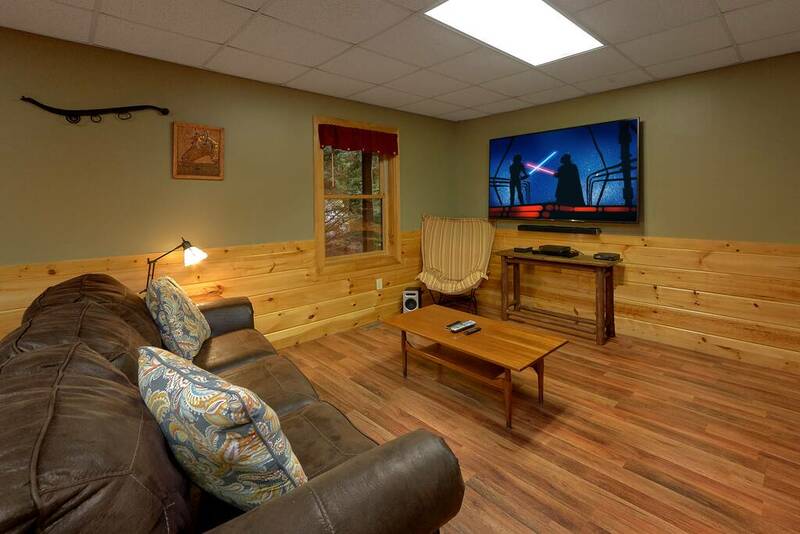 Relax in the outside hot tub with family or spend time in the game room with the kids. For fun and entertainment you have the stand alone arcade system with 50 different games, pool table and movie Theater area. 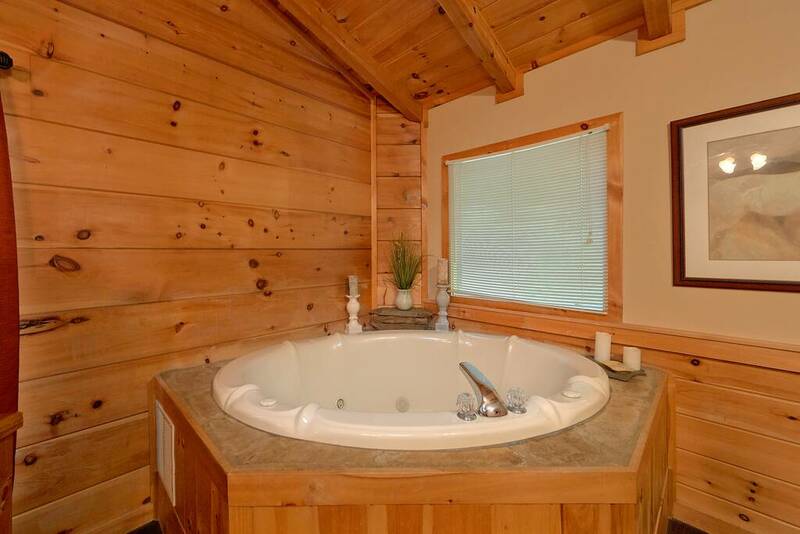 Cuddle up in front of the stone fireplace with a cup of coffee and the one you love or immerse yourself in the gorgeous stone Jacuzzi for two. 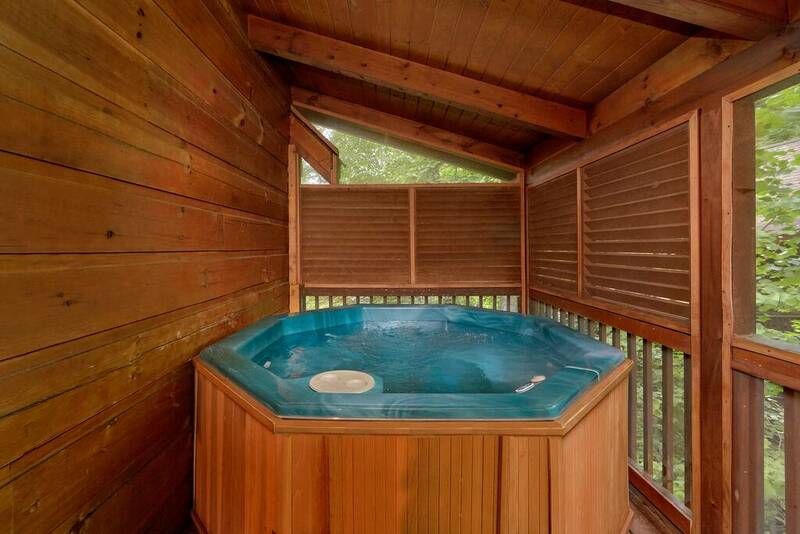 This is relaxation at its best. 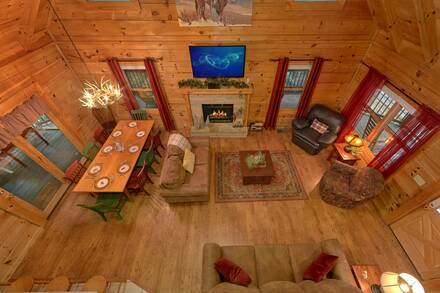 Bring your family and friends, kick up your feet and enjoy your vacation in the Great Smoky Mountains near all the dining, shopping and attractions in Pigeon Forge.